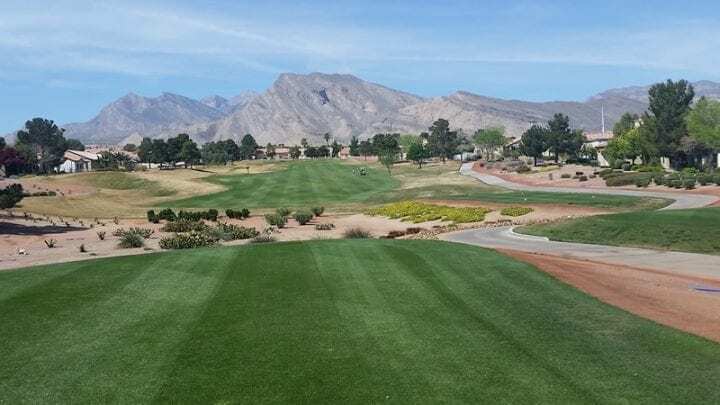 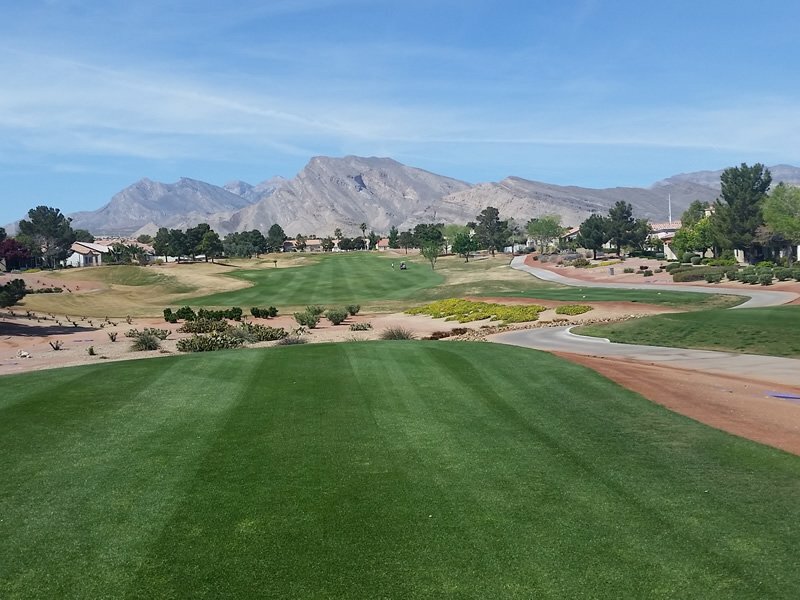 Welcome to Palm Valley Golf Club, the first of three courses designed by Billy Casper and Greg Nash in master-planned Sun City Summerlin retirement community (also home to Highland Falls and Eagle Crest Golf Clubs); just a short drive from the Las Vegas Strip. 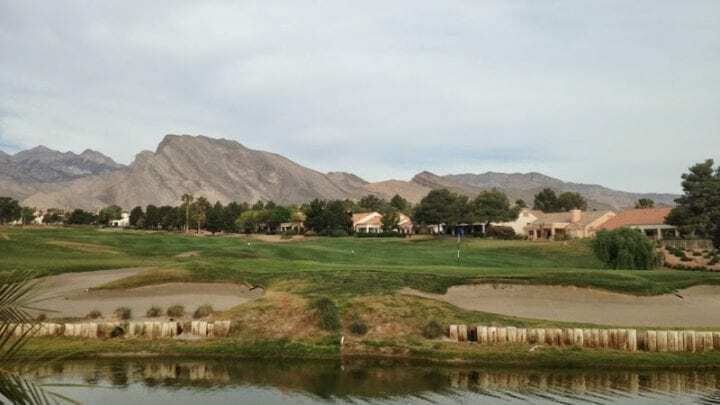 Opening its doors in 1989, the par 72 course is Golf Summerlin’s longest and most challenging, playing 6,849 yards from the back tees with a slope of 127 and a rating of 71.7. 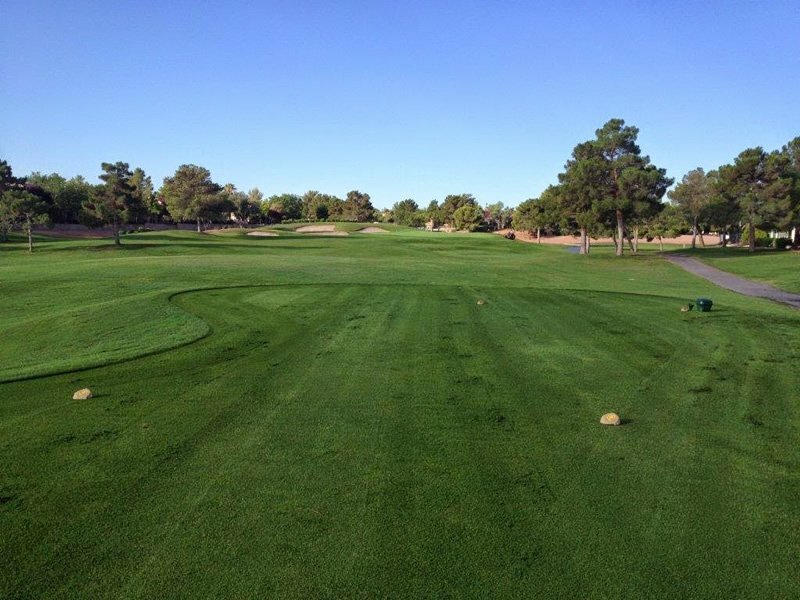 The established layout is carefully manicured with surging fairways and gently sloping greens. 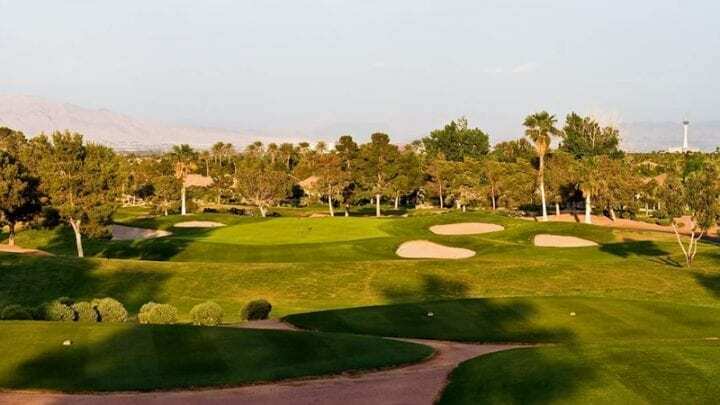 Starting the golfer out with a par-5 and also the longest hole on the course, golfers begin with a challenge. 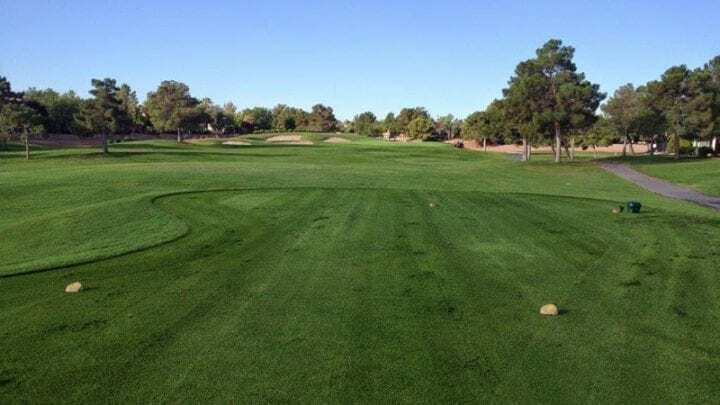 All par-4s were created with something different in mind, measuring from the short 343-yard 14th to the long 454-yard 5th. 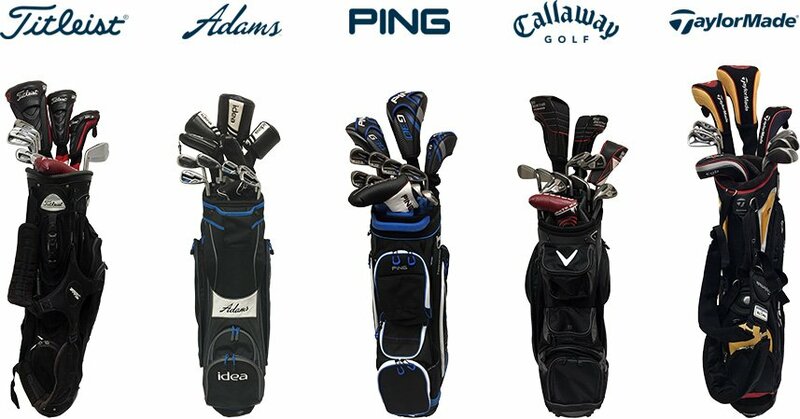 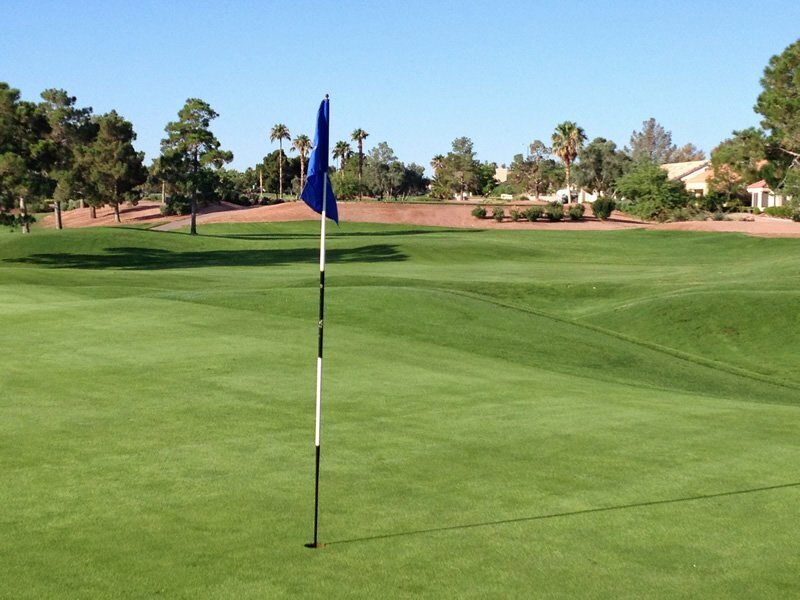 Palm Valley's ten par-4s give players a unique opportunity to test their shot-making skills and to use every club in the bag. 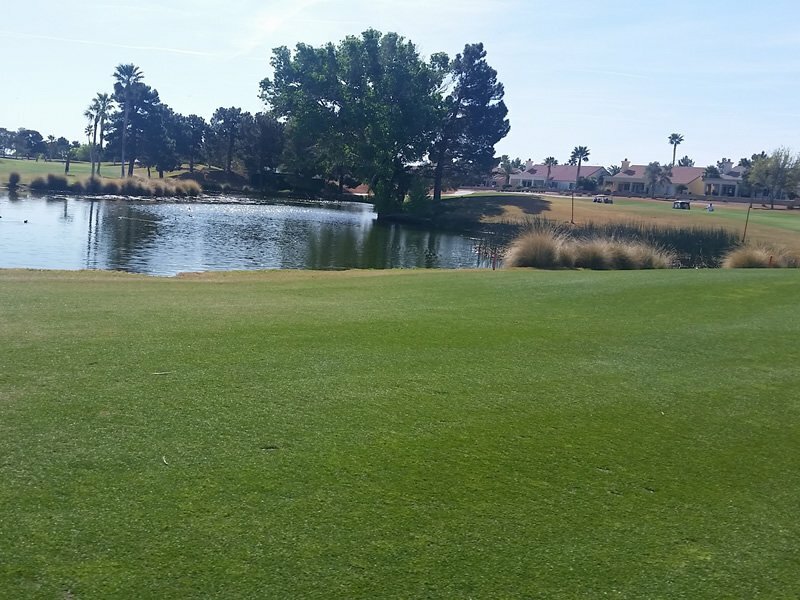 The par-3 16th hole plays a serious 229 yards to a lofty green, shielded by three bunkers left and a quick drop off to the right. 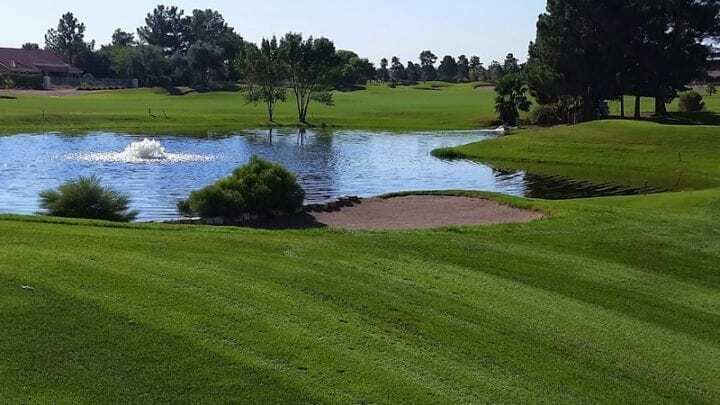 The finishing hole, and second longest hole on the course, is a slight dogleg right with water to the right from tee to green and out-of-bounds left; accuracy is a must. 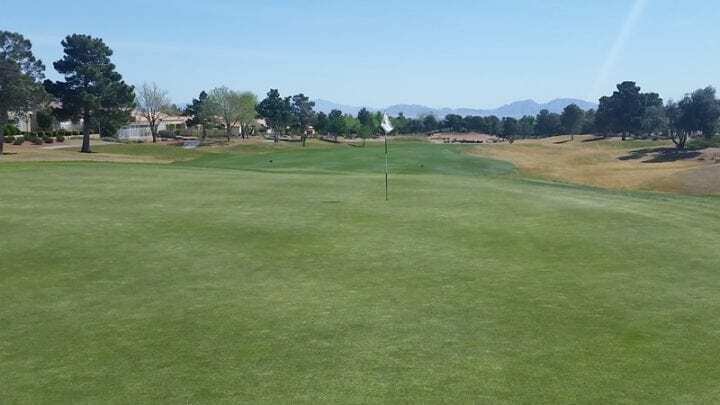 Fairway bunkers left also come into play, and the green is further guarded by bunkers left and back. 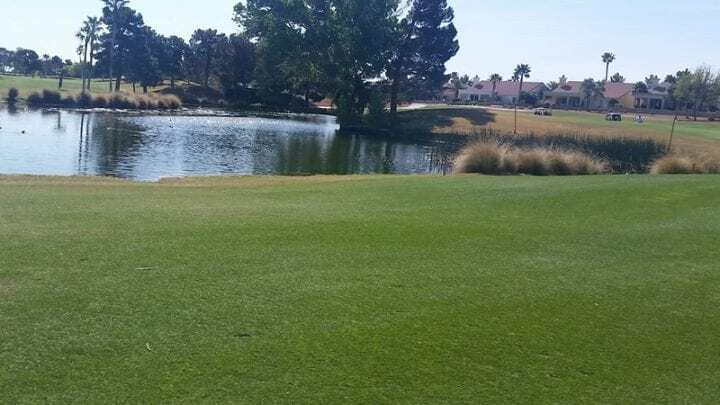 What a great finishing hole! 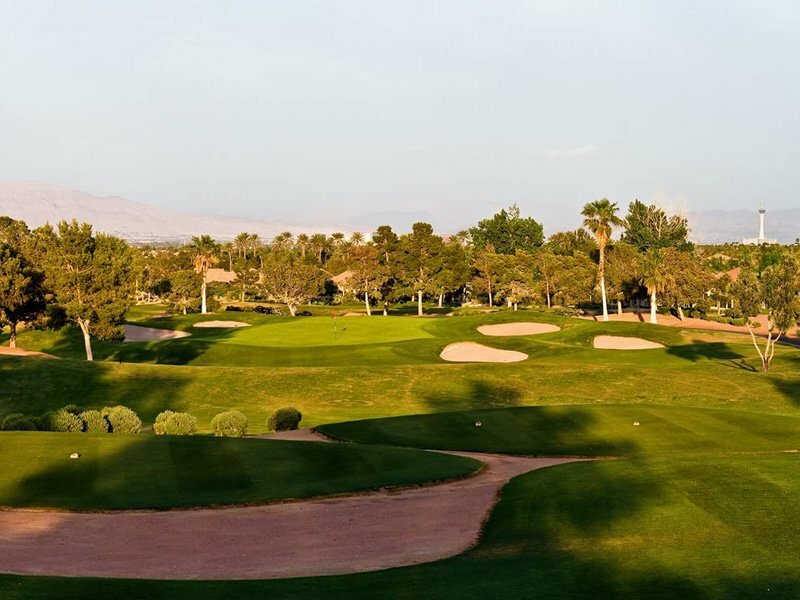 If you feel up for more golf, you can then try a 2nd round in the afternoon on their executive course Eagle Crest. 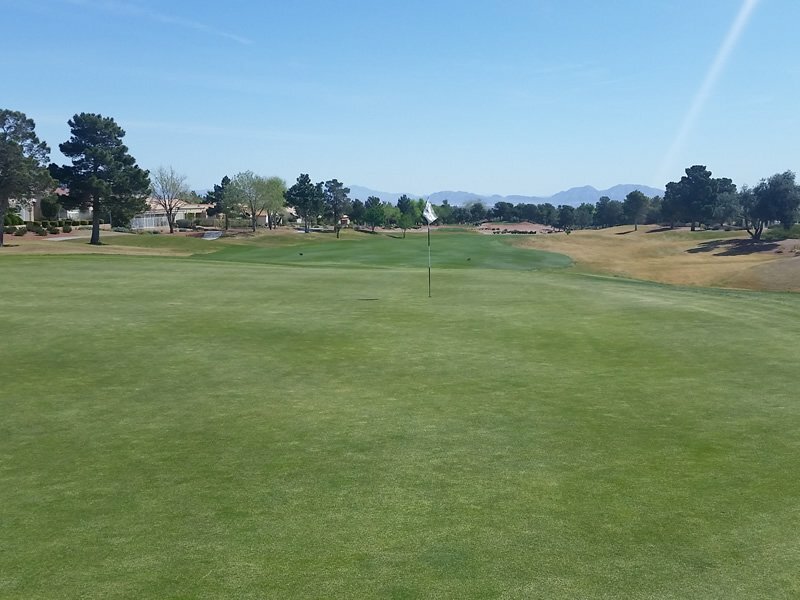 It is great for a 36-hole day and only a few minutes down the street. 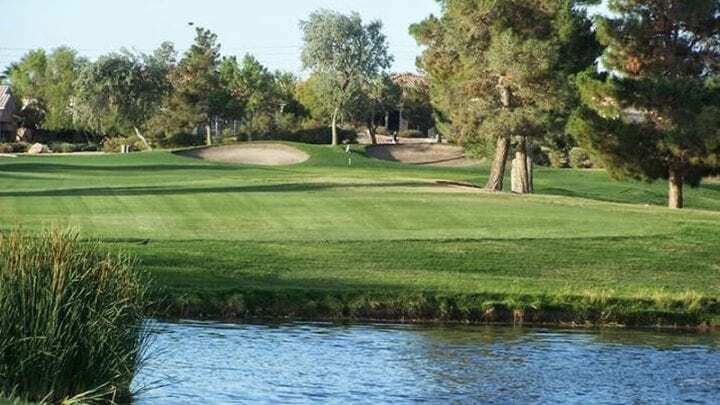 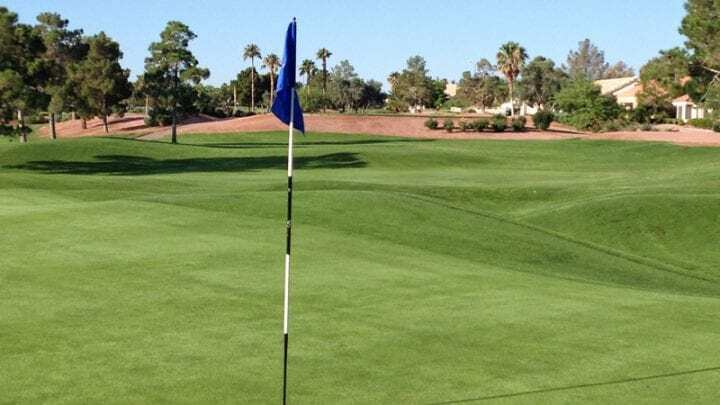 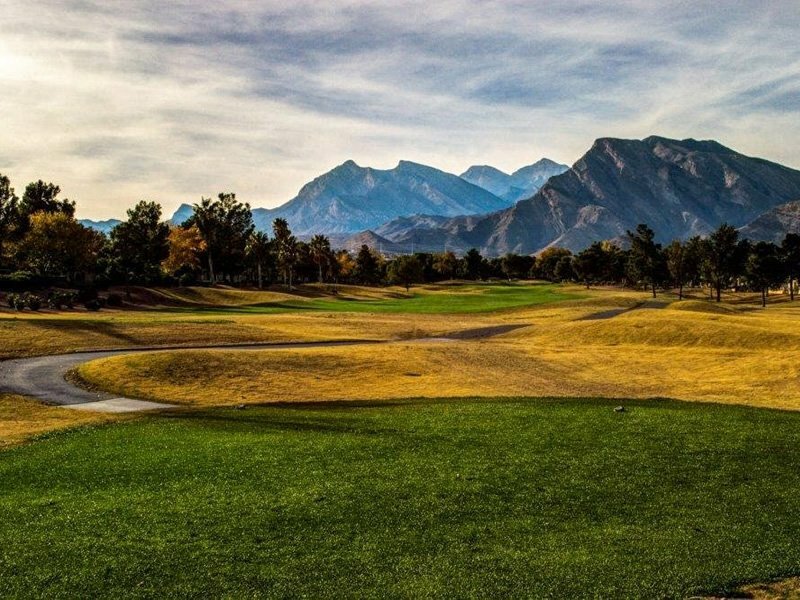 Palm Valley Golf Club is located 20 minutes from the Las Vegas Strip and comes with an inviting club house offering all of the amenities you are used to in Las Vegas. 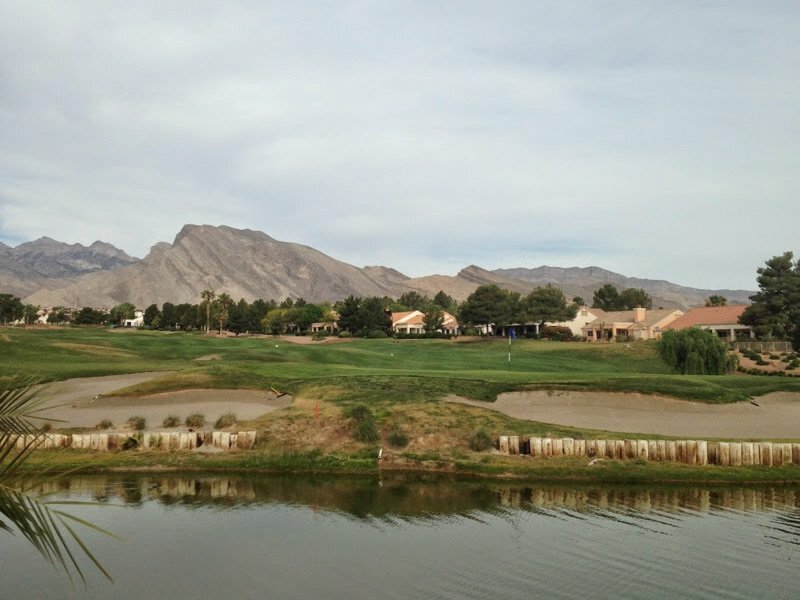 The Five Star Tavern is situated in a serene setting contributing to lovely views of Palm Valley golf course. 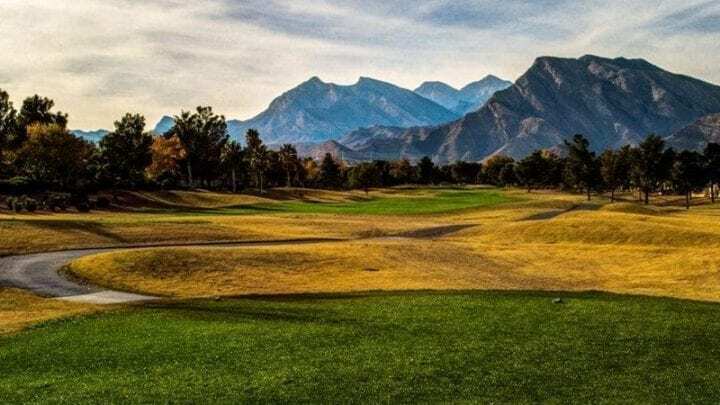 This “bar food” dining experience is perfect for hungry golfers that either showed up right before their tee-time or do not have much time at the turn. 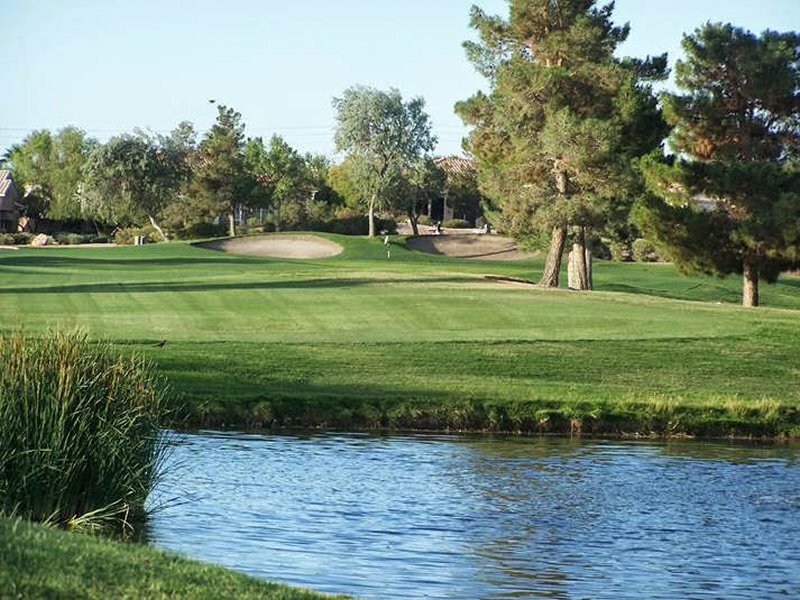 The dining room is best for relaxing before a match or a drink and a bite to unwind after the round. 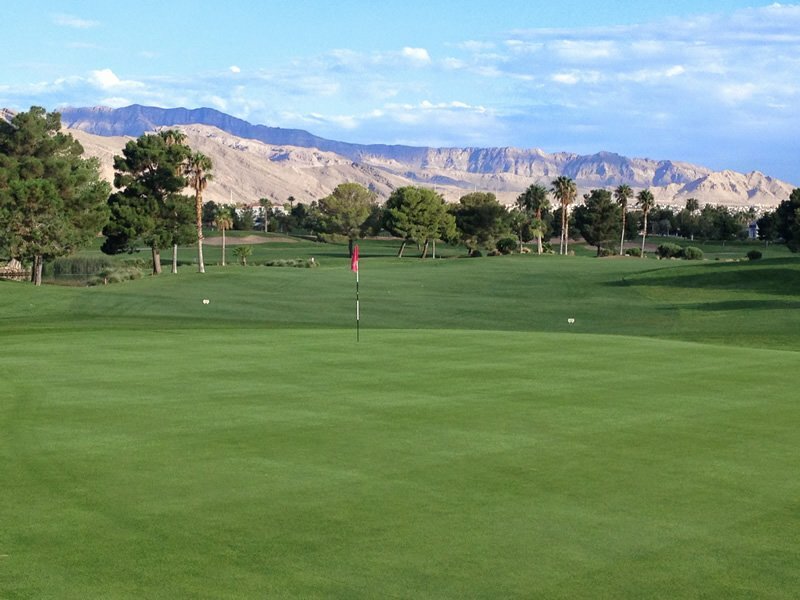 One of the best things about this club house is that it has slot machines and video poker. 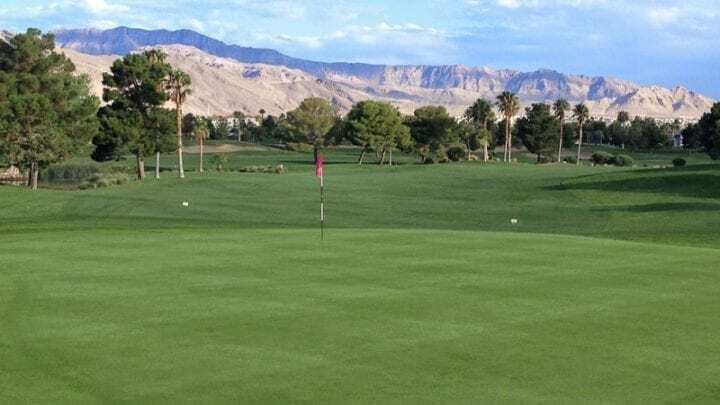 If you have been getting the urge to get to your casino to gamble, to try to win back your golf bets, you can start early by dropping some quarters in as you wait for your limo. 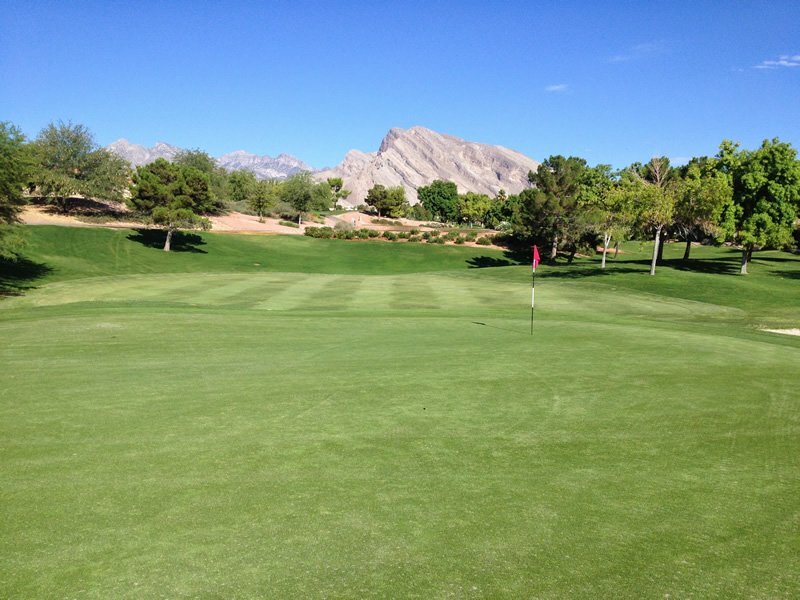 The course runs Bermuda from the box and through the fairway. 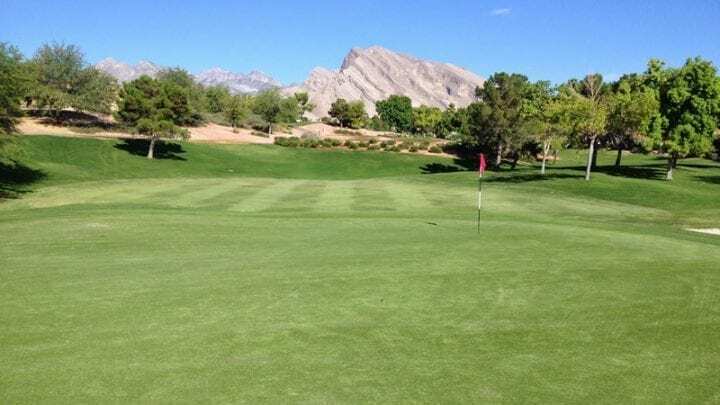 The greens are soft but quick Bermuda grass, overseeded during the winter months, that have moderate to tricky breaks. 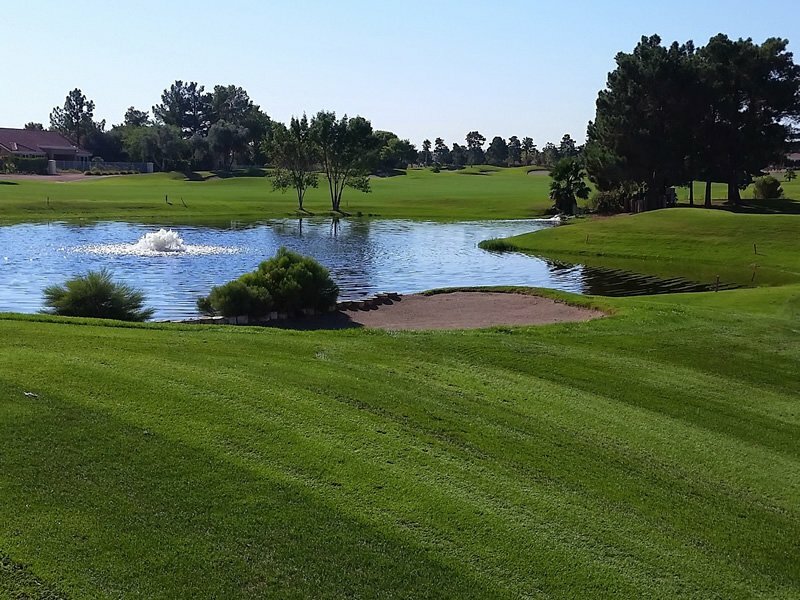 Have a great day at the Palm Valley Golf Club.